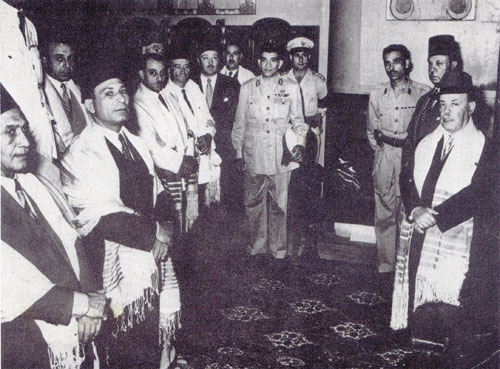 A successful and well-connected community of approximately 100,000 Jews lived in Egypt when the Israeli war of independence began. By 1956, all Jews were labeled by the Nasser government as "Zionists" and enemies of the state. Most left for Israel, with a small portion of their wealth given to Palestinian refugees living in Cairo. The vast majority went into the Egyptian state treasury; none went to Palestinians in Gaza. Related Topics: Arab-Israel conflict & diplomacy, Palestinians | Shaul Bartal | Fall 2013 MEQ receive the latest by email: subscribe to the free mef mailing list This text may be reposted or forwarded so long as it is presented as an integral whole with complete and accurate information provided about its author, date, place of publication, and original URL.